Know LWHHS Class of 1971 graduates that are NOT on this List? Help us Update the 1971 Class List by adding missing names. June 25, 2016 - Go to WJHS-LWH Class of 71 Reunion on Facebook for information or call 884-0945. 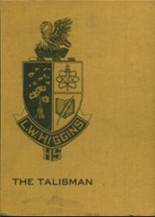 More 1971 alumni from L W Higgins HS have posted profiles on Classmates.com®. Click here to register for free at Classmates.com® and view other 1971 alumni. Missing some friends from L W Higgins that graduated with you in 1971? Check the list below that shows the L W Higgins class of '71. L W Higgins High School alumni can relive their experiences from high school by sharing memories and pictures, reconnecting with those alumni listed, and more.